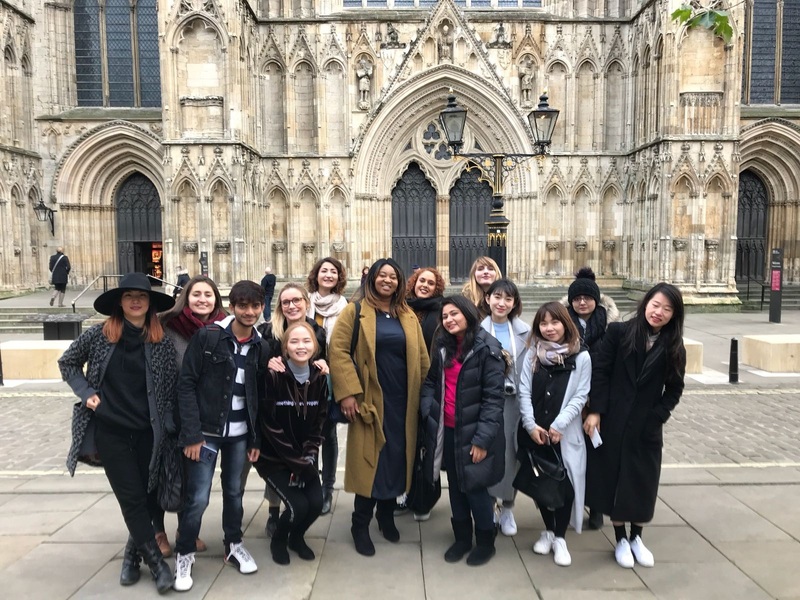 On Wednesday 6th December, MSc Fashion Business Creation students visited the city of York. 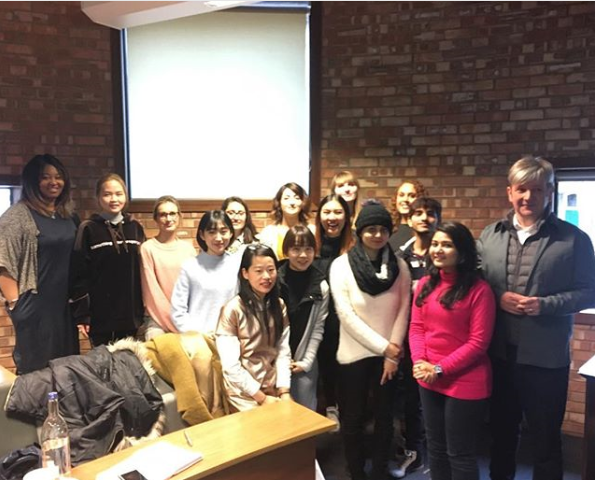 The students were invited by the Deputy Vice Chancellor of York St John’s University, Professor Christopher Moore (former Director of British School of Fashion at GCU London) to attend his masterclass. Professor Christopher Moore’s masterclass focused on being an entrepreneur in someone else’s business. He advised us to start thinking about creative ways we could lead a business, not only as brand owners, but also as intrepreneurs within the organisation. We learned that future businesses need intreprenuers who are innovative, creative with fresh ideas required for start-ups. Professor Moore further advised the students to read previous case studies of businesses to take inspiration and to think of ways to create things that people want, and can connect with. We were also able to develop knowledge of the requirements of today’s Fashion Industry and where it is going; helping us to align our thinking and planning with what lies ahead. After the masterclass, we visited the world famous York Minster, the pride of York and became acquainted with its rich history and its beautiful original medieval glasses and ornate wall of carvings, before heading off to Betty’s York café to try the famous afternoon tea. The day ended with a trip around the quaint York Christmas Market. It was an insightful and fun trip for the Fashion Business Creation students from the thought provoking masterclass delivered by Professor Christopher Moore to the beautiful city itself with its amazing architecture and romantic ambiance. This trip helped the Fashion Business Creation students with networking, gaining the insights of Fashion Industry and also allowed us to explore new places within our surroundings.